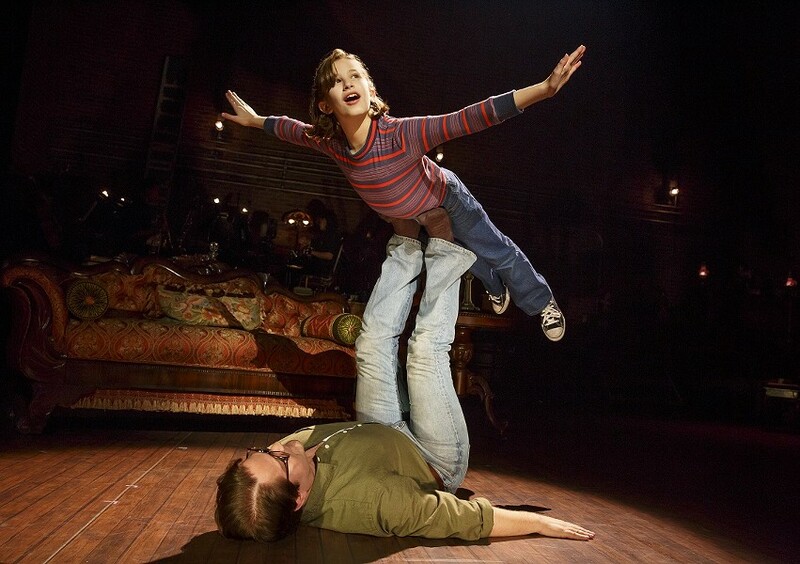 PHOTO BY JOAN MARCUS Alessandra Baldacchino as Small Alison and Robert Petkoff as Bruce in "Fun Home." The Rochester Broadway Theatre League on Thursday announced its 2017-18 season, with a little added tease for its 2018-19 season. The organization might not have done itself any favors by announcing it would be bringing "Hamilton" to Rochester ... in 2018-19. 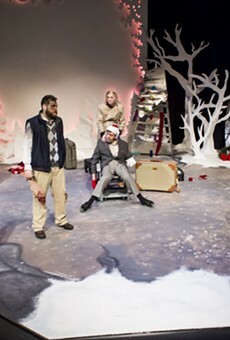 Theatergoers will be daydreaming for a year. Still, there's seven big shows coming to the Auditorium in the meantime. The 2017-18 season opens September 30 through October 7 with "School of Rock," the stage adaptation of the 2003 Jack Black movie, and is followed by "The Little Mermaid" on October 24 through October 29. Then, on November 14 through November 19, the highly acclaimed (it won the 2015 Tony for Best Musical) "Fun Home" will be onstage. For the holiday season, "A Christmas Story: The Musical" will run December 12 through December 17 (it's "fra-gee-lay"). Starting off 2018, the jukebox musical "On Your Feet" (February 6 through February 11) tells the story of Emilio and Gloria Estefan's pop journey from Cuba to the US. On its first national tour, "An American in Paris" -- based on the 1951 movie of the same name and incorporates the music of Ira and George Gershwin -- will be in Rochester March 20 through March 25. The ever-popular "Rent" closes the season on May 1 through May 6. Six-show ticket packages for "School of Rock," "Fun Home," "A Christmas Story," "On Your Feet," "An American in Paris," and "Rent," are now on sale for new and renewing subscribers. "The Little Mermaid" can be added to the packages for an additional cost. If you're still eyeing "Hamilton" (of course you are), subscribers get first dibs when the 2018-19 season is announced. Packages range from $215 to $504 depending on date, time, and seating. Individual tickets will go on sale this summer. For more information or to buy season tickets, call 222-5000 or go to rbtl.org.